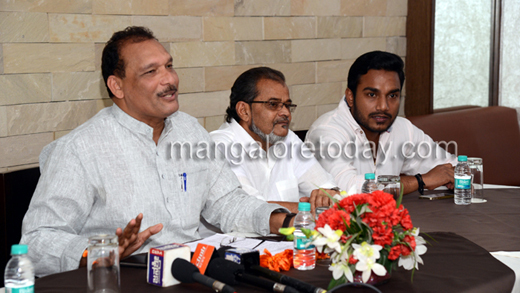 Mangalore, Aug 12, 2014 : Talking to media on August 11, MLC Ivan D’Souza said that when he was allotted 1.5 hours time to speak about the issues in education sector in the recently concluded legislative session, he pressed for three major suggestions before the education ministers and received positive response from the ministers. Establishment of Teachers’ Recruitment Board on the lines of Tamil Nadu and West Bengal will solve the confusion surrounding the process of recruiting teachers and lecturers. Another suggestion was to ban the system of separately accounting number of students benefitted under mid-day meal scheme, based on caste, community and religion they belong to. “There is a system in place, where teachers in every school count the number of students after the meal is served, based on the caste, community and religion, everyday. This system has to be abolished as it serves no purpose and could be negative. When I placed this suggestion before Primary and Secondary Education Minister Kimmane Rathnakar, he responded positively,” DSouza said. He has also demanded to convene the meetings of Knowledge Commission once in every three months, unlike the current practice of convening the meeting once a year. Tulu in 8th Schedule must : MLC D’Souza said that a question raised in the session to include Tulu to the 8th Schedule of the Constitution, the Kannada and Culture Department has replied that the proposal is now pending before an inter ministry committee at the Centre. The Chief Minister had written to the Union Home Minister in December 2013, requesting the inclusion of Tulu in the 8th Schedule. According to the information available with Kannada and Culture department, the total number of Tulu speaking population in the country is 17,22,768 based on 2001 census. The 2011 census has not categorised the linguistic population. 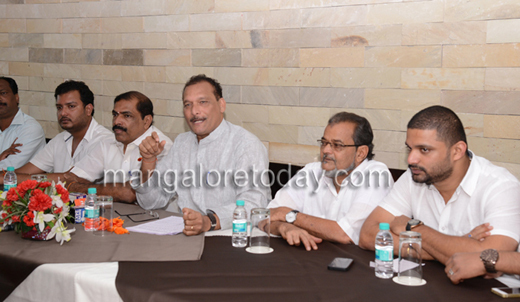 The department does not have information on the number of Tulu speaking population settled overseas, DSouza said. To a query on delay over the appointment of Mangalore City Corporation commissioner, he said that the commissioner will take charge within three days. However, he refused to reveal name of the new commissioner. Road meeting : In a separate meeting with the officials of the MCC, and NHAI, the MLC said that t Nanthoor Circle was constructed in an unscientific method and has been causing hurdles to the vehicle users. There is a need to construct the Circle in a scientific manner. The stagnant water on the National Highway has been causing inconvenience to the vehicle users. The officials should ensure that traffic congestion is reduced at the Circle. Reacting to it, NHAI Project Director Sriram Mishra said that the government has sanctioned an underpass at Nathoor Circle at an estimated cost of Rs 58 lakh. On pathetic condition of service roads, Mishra said that service roads will be repaired at an estimated cost of Rs 26 crore soon.